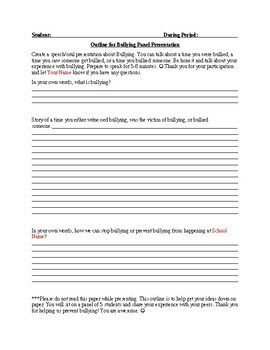 A panel discussion presentation outline to be handed out to 5-6 students to present their experience with bullying. Kids listen to other kids best! Make sure your panel consists of students willing to be honest.